Upper Taieri Plain River Scroll Plain Patearoa, looking south and upstream past irrigated dairy farming pasture and pivot irrigators, towards Paerau Styx. Maniototo. 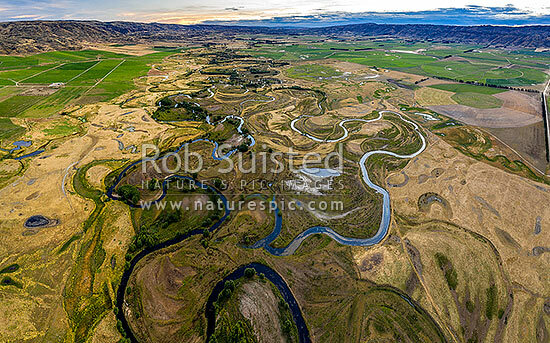 Aerial view, Patearoa, Central Otago District, Otago Region, New Zealand (NZ), stock photo.